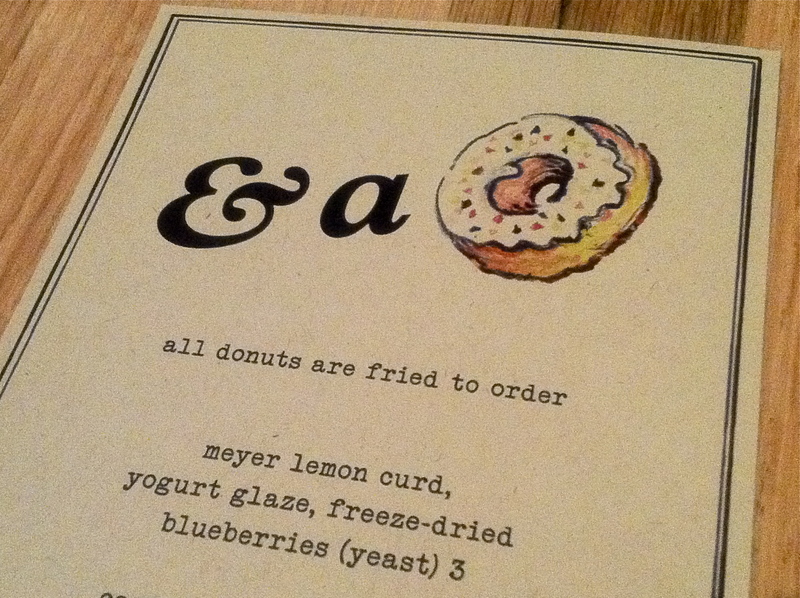 With a menu titled & a doughnut I thought my doughnut loving dreams had come true. So last week Cathy, my doughnut-loving friend, and I went to the recently opened UMAMIcatessen to try their buzzed about fried to order doughnuts. We were hoping to find doughnuts to dream about, a place where we could temporarily quell our Doughnut Plant cravings until our next NY visit, but alas we were left wanting. We ordered 4 out of the 6 doughnuts on the & a doughnut menu. The tres leches is the only one out of the four that I enjoyed. The tres leches cake doughnut is soaked for 5 minutes and served in a sea of cajeta with cinnamon sprinkled whipped cream on top. The cake is sweet, tender and moist with a nice caramel flavor. I would return for this doughnut. While I’m not a huge fan of cake doughnuts, I am a fan of German chocolate cake so I thought the German chocolate cake doughnut would win me over. 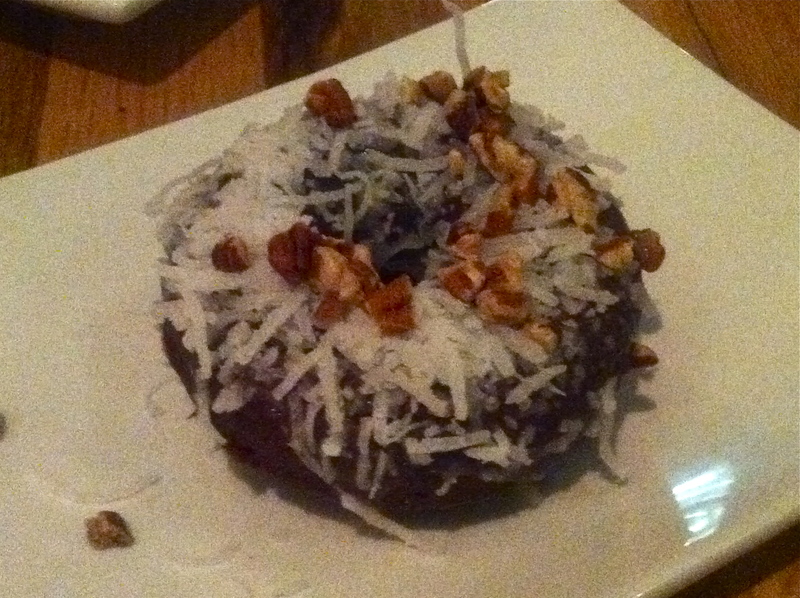 Instead I bit into a dry, oily tasting doughnut that only faintly tasted of chocolate and had lackluster coconut on top. 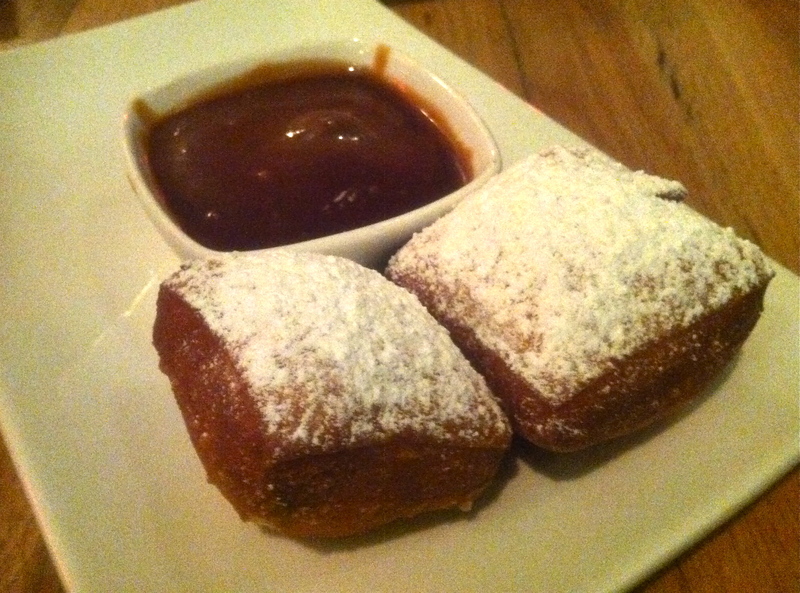 The beignets with a Chicory coffee sauce were average at best. Sure they are served warm but their outer shell is a bit too toothsome for my enjoyment. The Chicory coffee sauce however was strong and bitter with the right amount of sweetness and altogether lovely, too bad I didn’t have an equally delicious counterpart to dip into it. 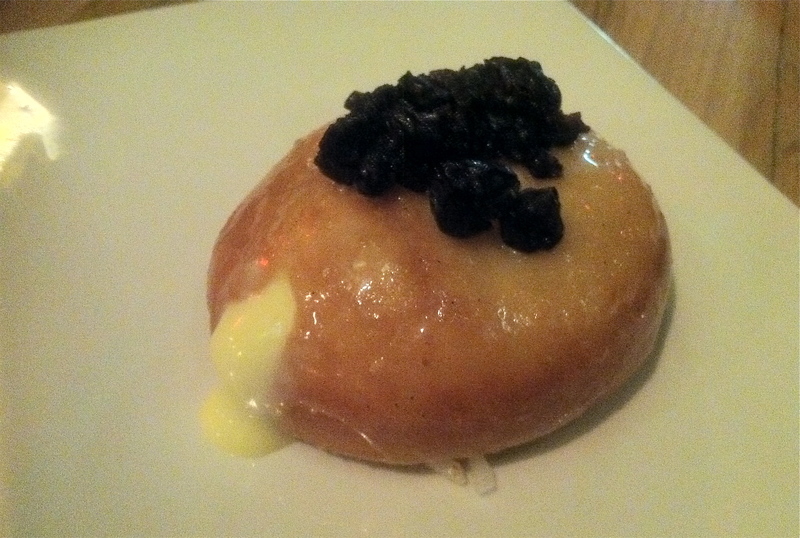 The Meyer lemon cream yeast doughnut with freeze-dried blueberries tied with the German chocolate as one of my least favorites of the night. What I love about yeast doughnuts is their tender fluffiness. Sure there is a bit of a bite, but there is also generally a complimentary tender center. This doughnut however had a hard shell of a skin like biting into a bad hot dog that snaps as you break into it. Too tough to be enjoyable. 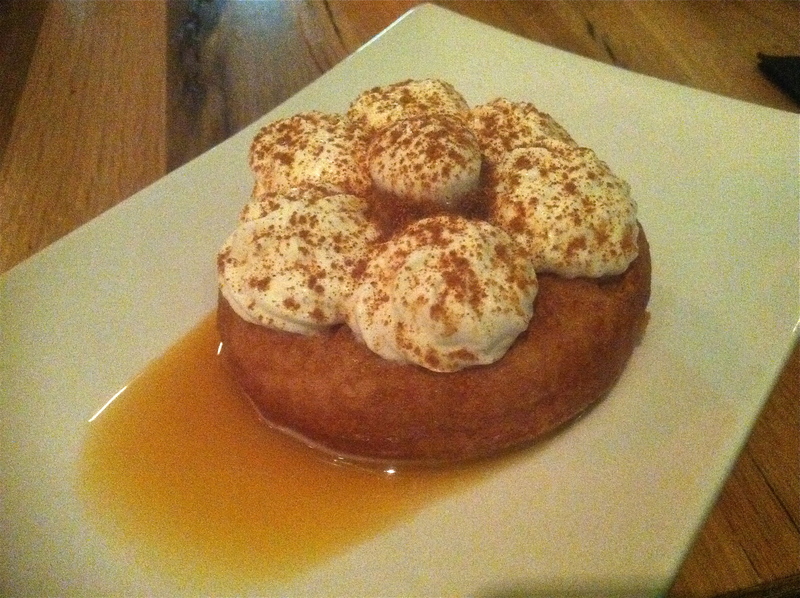 Even though 3 out of 4 of the doughnuts we tried failed to please, the tres leches doughnut is worth the visit. That is a memorable cake doughnut! Announcing the winner of sweets! our donuts were not warm… normally i wouldn’t care, but the menu specifically says “fried to order”! they didn’t even take that long, so i don’t think it was the case of them being left on the expo shelf too long. such a bummer. “Fried to order” — YEAH RIGHT.